And an arc in my heart, filled with sweetness…. Your salvation from the storm will save many in the harshest weathers of life. 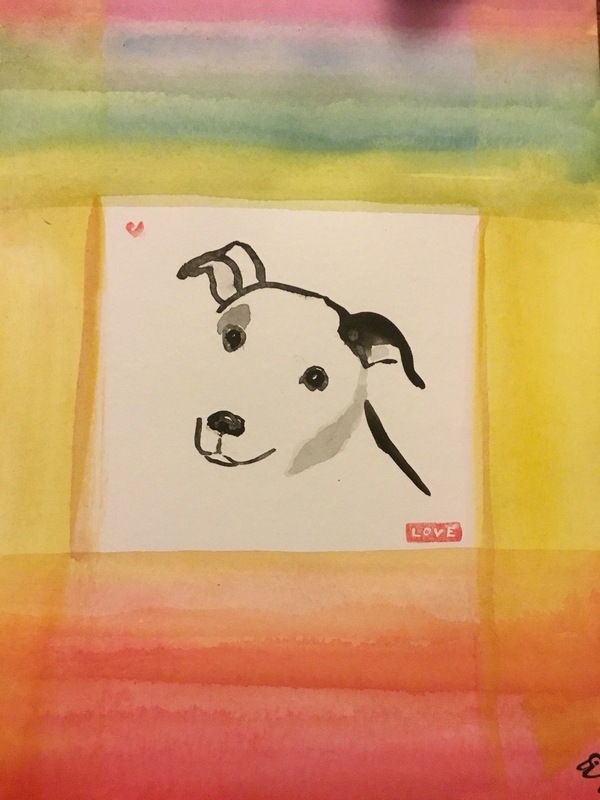 This entry was posted in The Now and tagged animal assisted chaplaincy, animal assisted therapy, brush painting, dog, eco-spirituality, Elizabeth Teal., ink brush painting, Iris, Liz Teal, love, pet therapy, pit bulls, pittie, poetry, rainbows, spirituality, sumi-e, terrier, therapy dog. Bookmark the permalink.